Kevin Saito: "About 150 dealers are selling five cars per month, or less. But it was 250." In 2010, Suzuki hit rock bottom. It sold fewer than 24,000 cars in the United States after selling more than 100,000 in 2007. Suzuki has shed hundreds of dealers since its peak at around 600 before the recession. It has about 280 today. Suzuki is trying to mount a comeback. 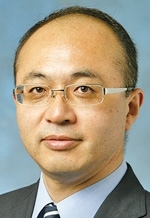 Gone is the model of relying on subprime financing to move Daewoo-built cars, says Kevin Saito, American Suzuki's president. He spoke with Staff Reporter Ryan Beene. Q: Where is Suzuki as a brand? A: We have had sales increases for the last few months, starting from October. Our year-over-year business is increasing. Especially from newly appointed Suzuki dealers. They are adding to our results. Some of the dealers that were part of our past numbers have gone within this past year. Simultaneously, we have attracted new dealers. These guys are very capable at attracting customers to Suzuki. At the same time, our product portfolio has changed, radically, from selling less expensive products to customers using a very convenient way of buying using a sometimes very expensive loan. So dealers that have left recently were selling so few vehicles that they didn't have a huge impact on Suzuki's sales? The dealers who have gone were not selling so many cars. But our dealers who newly joined us are selling a lot of cars, like 10 cars, 15 cars or 20 cars per month. So we are very encouraged by this situation. How many more low-performing dealers do you have? About 150 dealers are selling five cars per month, or less. But it was 250. Are you trying to replace those 150 dealers? We don't have a specific campaign to do so. But we have a cure program for these dealers. We want them to revive. So we discuss it. And if they choose to go out by buy-sell, it's their choice. Why were so many Suzuki dealers selling so few cars? There were a lot of dealers that were doing a lot of used-car business. Dealers had lots of different franchisees and they were not necessarily too concentrated on Suzuki.